Approx 860 yds / 786 m of worsted weight yarn in total. 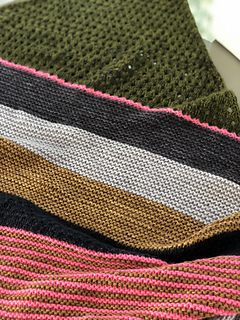 • Pattern is written for a five-color shawl. If you’d like to only use one color, then ignore the color changing directions. 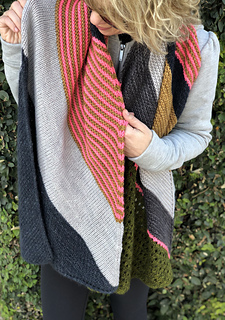 Keep in mind that this shawl can be knit with as many different colors as you’d like! • Shawl is worked flat.